Have you ever met someone and just known instantly that there was something special about them? That was my experience with Craig and Camille. Their love for Jesus and faith in God is so evident and has often been an encouragement to me. I spoke to Camille for the very first time in November and they signed on with me at Christian Adoption Consultants a few weeks after our initial conversation. They were matched 4 months later with a sweet baby girl! I will never forget the excitement in my heart when they called to tell me they had been chosen. I was cooking in the kitchen and as I got the news from my sweet family tears of joy streamed down my face. It was such an honor to have a front row seat in watching God’s beautiful plan unfold for their beautiful family. 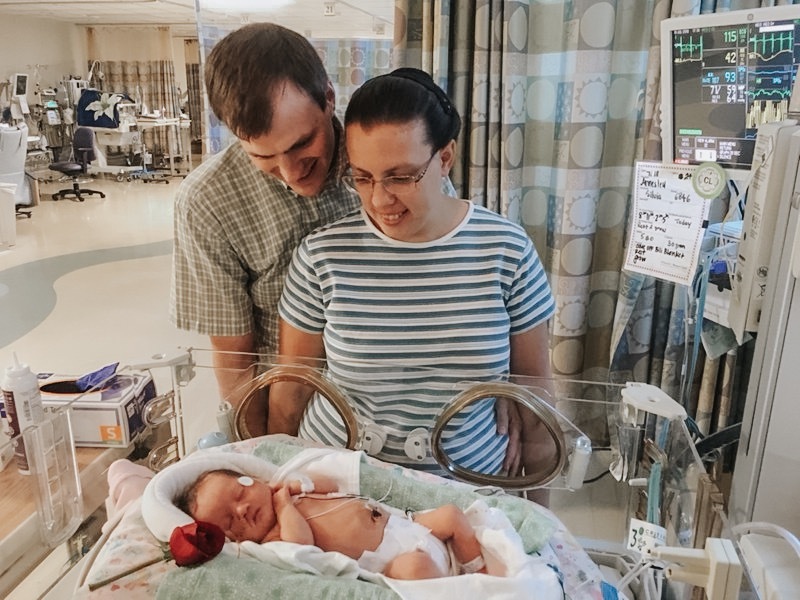 I encourage you to grab a few tissues as Camille shares about their story and God’s faithfulness to their daughter, Annesely Rose. We thought about adoption for a couple years before feeling God's nudge to begin the process. We crossed paths with Kelly Todd at Christian Adoption Consultants when we were nearing the end of our home study. I’m so grateful we did! We appreciated their multi-agency approach, and we felt more at ease with the adoption process knowing that CAC had heavily vetted these adoption agencies and attorneys. It was so important for us to work with an ethical adoption agency! One of the things that intimidated me most about the adoption process was creating a profile. I was so relieved to know that Kelly would make our book for us, and because of this we felt like we could confidently present to situations. The guidance and education Kelly provided for us was another reason we chose to move forward with CAC. She helped us evaluate the risks, encouraged us when we were discouraged, and answered all of our questions. During the process my main fear was whether we would ever be chosen. That fear mainly crept in because of my human impatience; I know I'm getting older and want to have energy to care for my child. After we were home study approved we started receiving situations. We presented several times and were told “no.” We started to feel discouraged and wondered if we would ever be parents. One day we were contacted by an agency about a specific situation. We both felt very strongly that God was leading us down this path and so we decided to present. We were so excited to find out we had been chosen! A few weeks later we received a phone call from the agency stating that the baby had been born that morning - 5 weeks early. 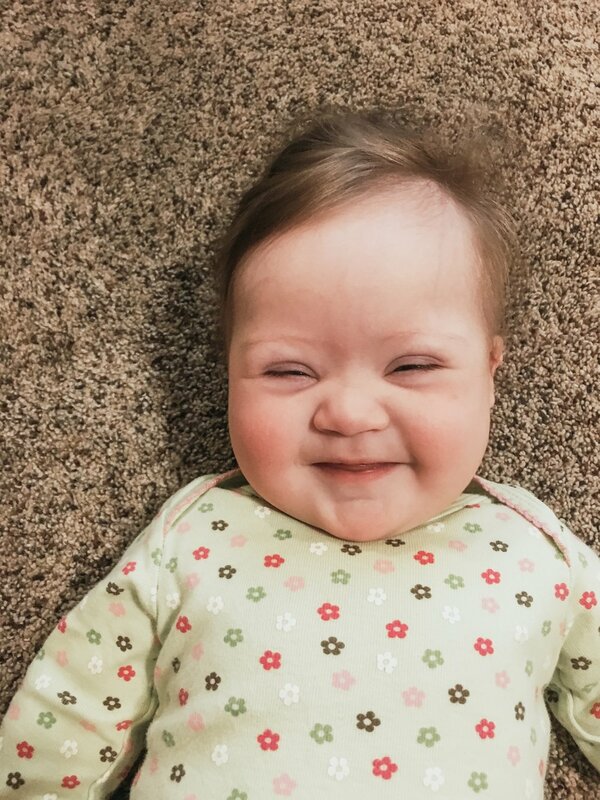 She continued to list other things such as length, weight, etc, but everything became a blur when she mentioned the baby had Down Syndrome. This was not something we were aware of prior to her birth. At the same time we received this news, we were actually in a state of grief as both of our grandmothers had passed away within the previous few days. We had been preparing for funerals and were not expecting to travel for another month. Even though this news had taken us by surprise, we knew it wasn’t a surprise to God. We collapsed into each other's arms and immediately began praying. We also texted Kelly and pleaded for her prayers during this time. After an hour of praying, reading the Bible, crying, and talking, we felt a definite peace in our hearts. 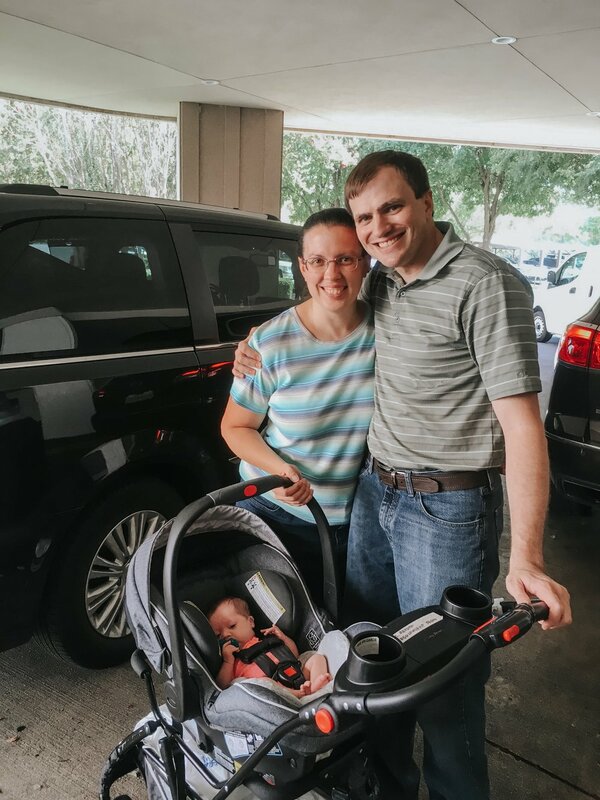 We knew this baby was our baby girl and even though we felt unprepared, we knew that God would equip us with everything we needed to be the best parents we could be. When we arrived at the hospital we were finally able to meet our daughter, Annesely Rose, for the very first time. We loved her as soon as we were matched with her; however, when we first saw her, we realized how much we loved her, and it was even more evident when we could hold her for the very first time. Throughout this adoption journey, God has taught us that we are not in control - He is. We should have known this all along and sometimes think we do, but deep down we still often try to control things ourselves. We look back in amazement at how God orchestrated all this. We love our little girl and are so thankful that she is in our lives. We feel God has a special plan for her and are just thankful that it includes us! Last fall I was diagnosed with cancer again. Although I’m healed and healthy today, I spent many hours in the waiting room. As a childhood cancer survivor, I’ve grown more than accustomed to waiting. Waiting to be seen by doctors. Waiting to hear back about a biopsy. Waiting to get a 2nd and 3rd opinion. Waiting to find out the final diagnosis. In November while I was laying in a big, noisy machine, waiting for the MRI to be finished, I was thinking about how waiting rooms aren’t just spaces for cancer patients. All of us have our own waiting room experiences. Maybe you’ve been hoping for years to see a positive pregnancy test. Maybe you’ve been told no a dozen times by expectant mothers in the adoption process. Perhaps you are waiting to hear back from the doctor on some major health issues. 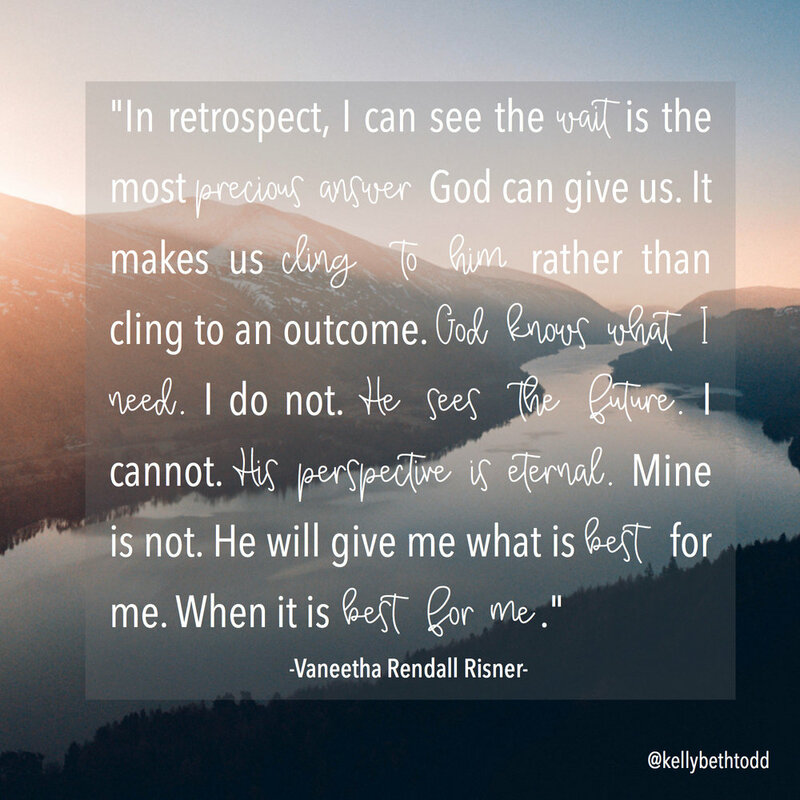 Maybe you’ve been praying for years asking and pleading with God for that “one thing.” They might not look all the same, but they all entail waiting with a sense of uncertainty. As an adoption consultant with CAC, I work with many families who are in their own kind of waiting room. Some of them have been there longer than others, but all have endured a sense of unknown about their journey at one point or another. I’ve been there before too. It’s difficult. Sometimes it feels as if you’re on a roller coaster of emotions. It can be exhausting. It’s difficult to trust God when we don’t know where our journey will take us. But, that’s what He calls us to do. “Trust in the Lord with all your heart and lean not on your own understanding (Proverbs 3:5) One of the (many) things I’ve learned through spending time in the “waiting room” is that God doesn’t leave us to ourselves. He is right there with us, holding our hand. He is a good Father who loves us more than our earthly minds will ever be able to comprehend. 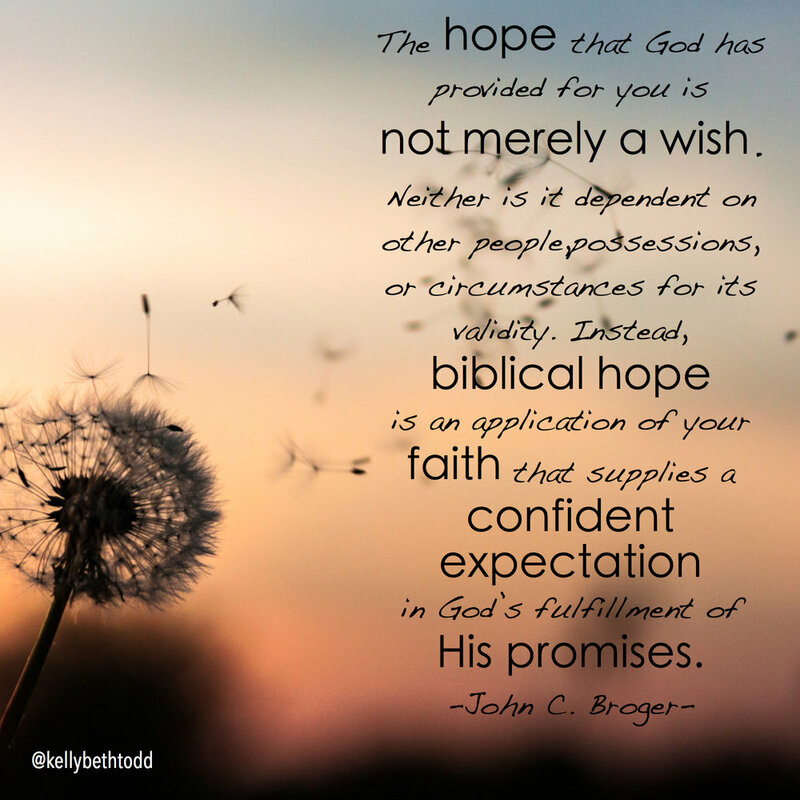 I’ve compiled some encouraging Bible verses, quotes, songs and blog posts that have provided a sense of hope to me during times of uncertainty. I’ve clung to many of these truths during times of despair. I’ve sat in the waiting room and soaked my pillow listening to and praying through some of these songs. It is my prayer and hope that wherever you are in your journey, your soul would be encouraged as you reflect upon these words and promises that are true for you. "I wait for the Lord, my soul waits, and in His word I hope..."
"For my thoughts are not your thoughts, neither are your ways my ways, declares the Lord. For as the heavens are higher than the earth, so are my ways higher than your ways and my thoughts than your thoughts." "Fear not, for I am with you; be not dismayed, for I am your God; I will strengthen you, I will help you, I will uphold you with my righteous right hand." "Have I not commanded you? Be strong and courageous. Do not be frightened, and do not be dismayed, for the Lord your God is with you wherever you go." I’ve always lived in the unknown spaces in some respect. As a childhood and adult cancer survivor, I’ve spent my share of time waiting for answers from doctors, pathologists, surgeons and test results. In some ways I can see how waiting in the unknown spaces helped prepare me for some of what was to come in our adoption journey. As a former client of CAC and an adoption consultant, I know first-hand how difficult the journey can be. Those who have walked through the process before can testify to the fact that there are so many unknowns throughout every stage of the adoption process. The unknown spaces greet you as soon as you begin researching adoption. “Who should we should we work with? An agency? An attorney? An adoption consultant? What type of questions should we be asking? How will we afford it? How do we know this agency/attorney is trustworthy? How long will it take? 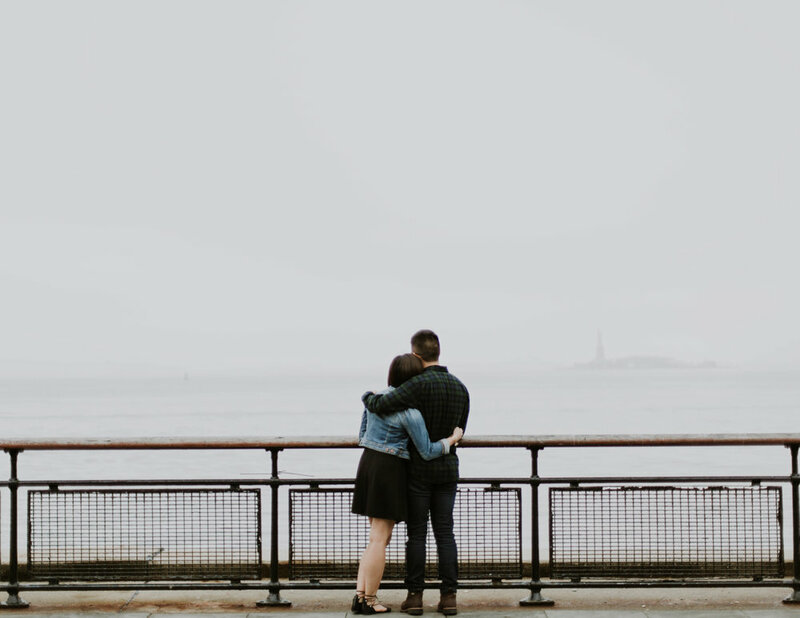 What’s a home study and why do we need one?” When my husband and I began researching adoption we quickly became overwhelmed and realized we didn’t know much about the process other than our desire to adopt. After calling a few different adoption agencies, we ultimately made the decision to move forward with Christian Adoption Consultants (CAC). We were so thankful that we had an adoption consultant who was holding our hand and guiding us through the entire process from start to finish. The unknown spaces became more manageable and less daunting because our consultant was constantly educating us on the process, answering our questions (we had a ton!) and providing helpful resources to us throughout our journey. When you are beginning the home study questions may enter your head such as, “What is entailed in a home study? What kind of stuff will they be asking us about? How long will it take? How do I know I can trust this home study provider?” At CAC we connect our families with reputable home study providers in their state. The thought of a social worker coming into your home can seem a little intimidating at first because you don’t know what to expect. At CAC we help ease some of the unknowns and fears through addressing home study related questions and providing tips and advice on what to expect so that you feel more prepared going into your first interview. The financial cost of adoption can prevents many from beginning the adoption process, but it doesn’t have to. “Where will the money come from? How will be able to afford adoption?” At CAC you are never left to figure out things on your own, as we provide our family with a list of low interest/ no interest adoption loans, adoption grants and fundraising ideas that have assisted thousands of families in raising funds for their adoption. I could share story after story of God’s faithfulness in providing for of our families. “I wouldn’t even know where to begin!” This is one of the most common statements I hear when discussing a profile book with a family. The profile book is one of the most important pieces of the adoption process because it’s the only information an expectant mama will have to make her decision on. We have years of experience in creating beautiful and unique profile books for our families and we know what agencies and expectant/birth families are looking for. If you were to do a google search for “adoption agencies” hundreds and hundreds of agencies will pop-up. You won’t be able to tell just by looking which ones provide ethical services and this is such an important aspect of the adoption process. At CAC our families have access to our thoroughly vetted agency list. Based on a family’s adoption preferences, we help eliminate some of the uncertainty in recommending which ones to apply to. We also are available to answer any questions that may arise about the agencies and attorneys. Whatever route you choose to grow your family there will always be risk involved. Adoption is no exception. But at CAC you are not without our guidance. Our support team of 20 adoption professionals have over 120 years of combined experience. We’ve also assisted our families with 2,500 + adoptions. Our “doors” have been open since 2006 and we’ve learned a lot along the way. Therefore, we are equipped to help our families weigh the risks of every situation. Our team of adoption consultants have been trained to follow our company’s high standards and guidelines for ethical adoption practices. When my husband and I started seeing situations we were so grateful to have an adoption consultant point out risks to us that we otherwise would have been clueless about! There are ebbs and flows in adoption. Though our families do see more situations than others who are only working with one agency that does not always mean our families see situations every day or every week. However, because of our multi-agency approach our families do get more exposure and opportunities than if they were only working with one agency/attorney. When things feel a little more “ebbing” than “flowing” in the adoption process, in the unknown spaces it can be tempting to think God has forgotten you. But, He hasn’t. God is writing your story. It may not meet up with the timeline you had in mind, but I promise His plan for your family is good. His plan for your family is best. Hearing “no” is never easy and can feel extremely discouraging at times. In the unknown it can be easy to think, “Are we ever going to get chosen? Is something wrong with our family?” Something I continually share with my families is “every no is leading to your yes.” Once you are holding your baby in your arms all of those “no’s” will finally makes sense, and the wait will be worth it! It has finally happened-an expectant mother has chosen you to be the parents of her little one! This is a very exciting, overwhelming and emotional time. But, even still, I’ve heard families say this can be difficult time of waiting in the unknown. Thoughts like, “What if the expectant mother decides to parent? How should we be communicating with the expectant mother? What can we say? What should we not say?” I’m so grateful my husband and I had an amazing consultant who was able to address these questions for us and help speak truth into our fears. There can be so many unknowns during this time. At CAC we provide our families with information regarding travel, places to stay, packing list, hospital etiquette, and post- partum communication. We also provide our families with education on what to expect during ICPC. At CAC we cannot eliminate all of the unknowns in adoption-no adoption professional can. Although we can speak truth into many of your fears, there will always be some aspects of adoption that are just uncertain. Though I do not know how or when your story will unfold, I do know the One who does. Because I know my God has a plan and purpose for all things (Ephesian 1:11), I know that these unknown spaces are not wasted in adoption and are part of His good and loving plan for your family. Learning to trust Him in the unknown is a sanctifying process and one I wouldn’t trade for anything. I’ve learned that that these unknown spaces in life are very sacred moments where God continually draws us closer to Himself. Even though this will be difficult my prayer for you is to not wish away this time and trust God with your story. Dig deep into God’s word, prayer and seek out what He is teaching you through the unknown. Though the uncertainty and difficulty of this process may not make much sense to you now, I’m confident it will one day.